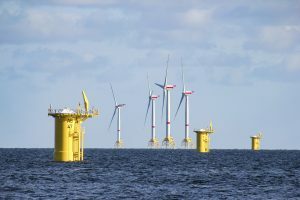 The support structure and its geotechnical anchorage in the seabed are important for the success of offshore construction projects, whether they are wind turbines, meteorological masts, bridges or substation platforms. The nature of the seabed and environmental conditions are two of the many aspects to consider in deciding the best solution: tripod, monopile, jacket, or gravity foundation. Important issues to consider regarding the technical feasibility are: the amount of material required, affecting the cost of the foundation, possible factories, their capacities and the geographical location of the project site. Other aspects central in this consideration are the availability of vessels for transportation of foundations weighing hundreds of tonnes, transhipment ports, temporary storage for the massive structures and the potential logistics chains. During the planning phase we offer you comprehensive engineering services and accompany your project from initial considerations to certification of foundation design. Foundation soil analyses, MetOcean data, load analyses and stability assessments of the foundation structure, geological soundings and detailed geotechnical surveys, site-specific calculations for the geotechnical foundation, load capacity analyses and loading tests – these are just some of the services in our comprehensive portfolio. In the implementation phase we support you with the selection of suitable manufacturers, carry out manufacturing surveillance and ensure a smooth transport of the foundations and installation at the construction site. Handling the entire logistics is as much part of our offer as the consultancy & engineering services involved in the lifting & transportation concepts, heavy lifting operations, construction control & surveillance.